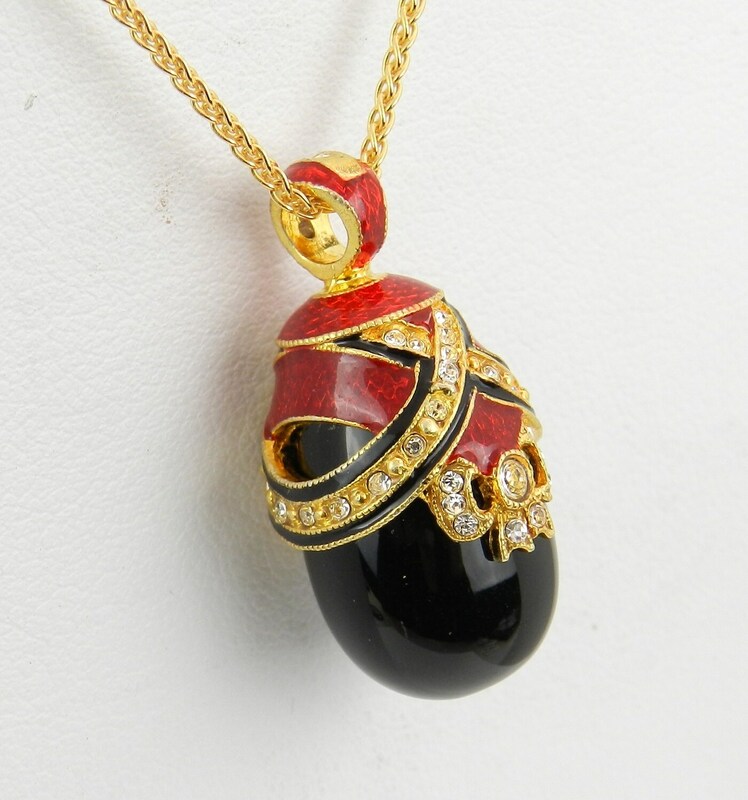 18K Yellow Gold over Sterling Silver Red Enamel and Black Onyx Swarovski Crystal Pendant with Chain 18" Faberge Style Egg. 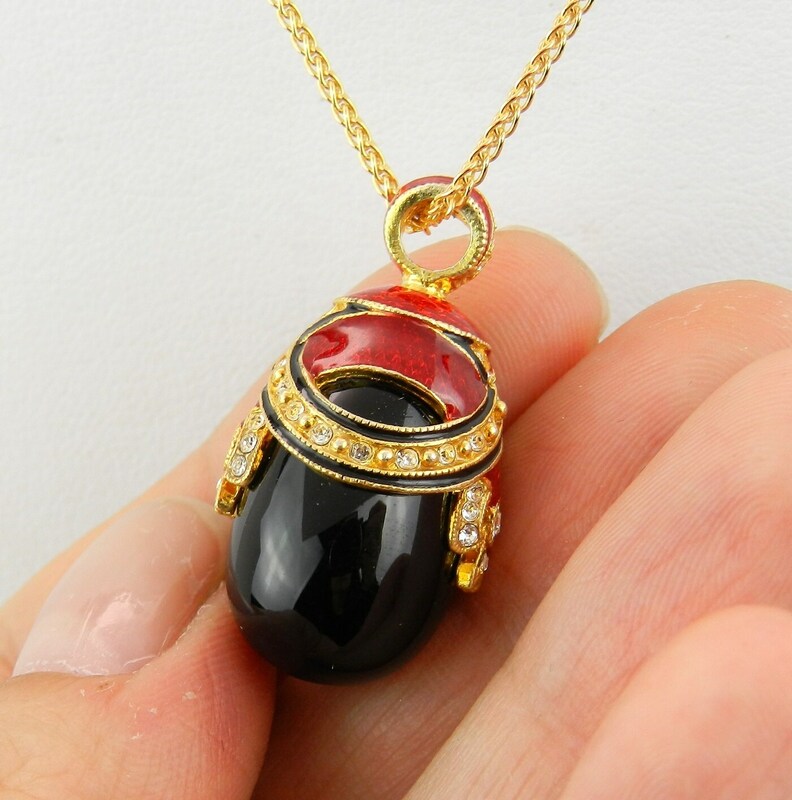 This unique pendant is made of solid Sterling silver. Set with round Swarovski crystals on each side that produce a lot of sparkle. 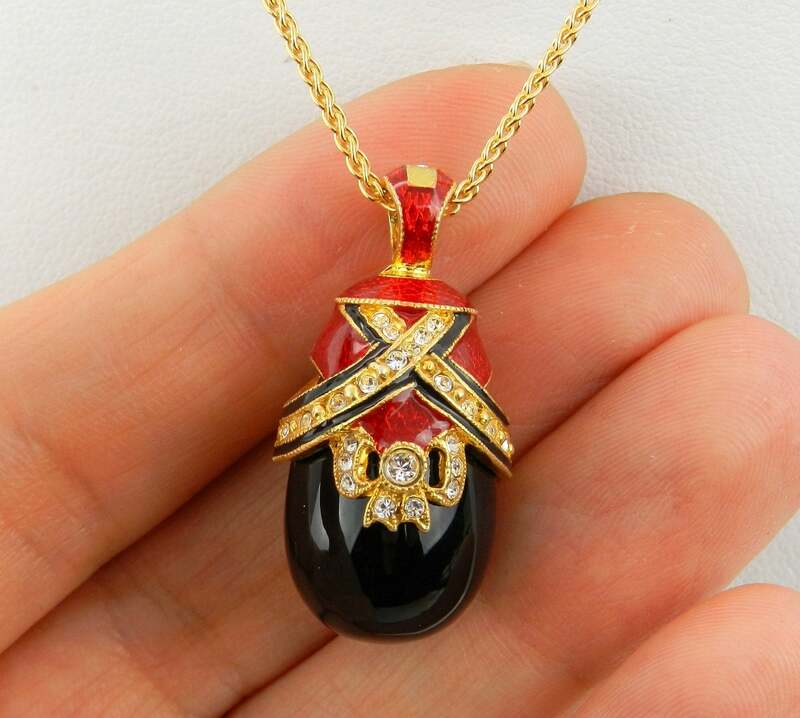 There is a genuine Black Onyx set in this pendant. 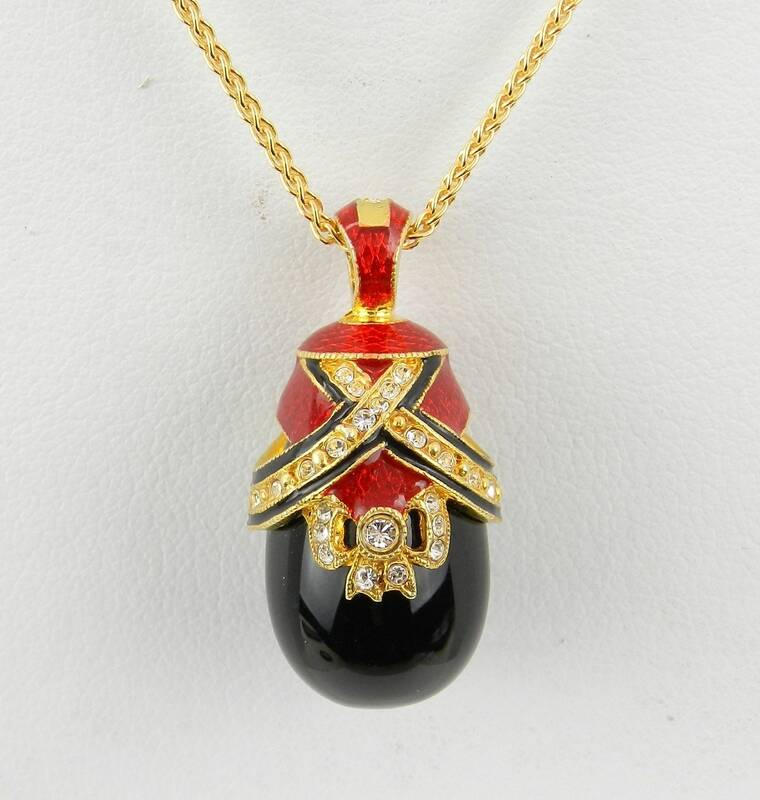 This is a high quality hand made miniature silver and enamel egg that is one of the symbols of New Life, Rebirth and Love. The egg is a universal symbol that transcends many races, creeds and cultures. It makes a perfect gift for any occasion.